For months I’d been railing about the typo at the bottom of their page, see here in a screen grab I made about a week ago. Take part in my what? Neighbourood? Really? I’m not having our head of government’s website have a typo on every page for the world to see. When I first spotted it, last August, I immediately fired off a tweet pointing it out. But it was ignored. @Number10gov There's a typo on your website, 'neighbourood' in the links at the bottom of the page. And there's no web contact, either! However, after battling away, I’ve finally got Number 10 to change. 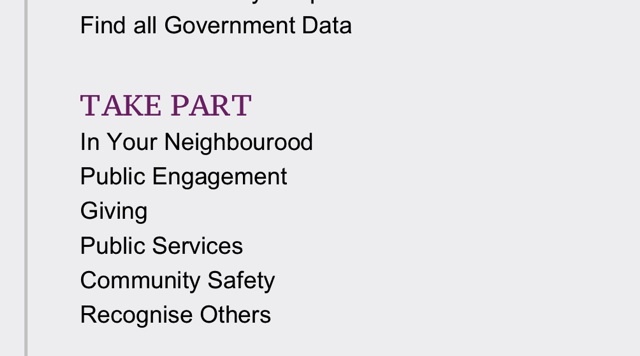 This week I noticed the typo had been removed, and now it’s ‘neighbourhood’. So to all those that say the government doesn’t listen. It does, eventually.